Former Chief of Staff explains how IDF foiled Hezbollah's plan, discusses the four threats to Israel's security. Speaking at the Netanya security conference about former Mossad Chief Meir Dagan, Eizenkot said, "For an entire generation of commanders, Meir was the symbol of creativity and force, of cunningness, and mostly of deep commitment to the State of Israel's security." "The security challenges which Meir Dagan faced, from the time he enlisted in the IDF until he finished his term as Mossad chief, give a historical perspective and a peek at the future. "Three years ago, there were many events which barely avoided leading to an escalation. Sometimes we avoided the escalation by a hair, and we had to work to foil Iran's efforts and dreams of attaining nuclear weapons and regional hegemony. A security decision was made to carry out a series of processes while keeping out of the public eye, demonstrating our superiority, and causing severe damage to the Iranians. This decision - to operate against Iran, out of the media's arena, demonstrates how Meir Dagan dealt with Hezbollah." Eizenkot also discussed Hezbollah's plans to attack Israel. "Hezbollah had grandiose plans to surprise Israel by bringing 5,000 !!! terrorists into Israel via underground tunnels, while firing at us," he explained. "This plan was not implemented - it was identified by us four years ago, and we dealt with it two months ago, while at the same time continuing to harm their abilities to make exact calculations." "Today, Israel is facing four 'circles' of threats - three of them historical, and one of them new. The threat of unconventional weapons has been somewhat dulled by the agreement between Iran and the West, but there is no doubt that it is the first threat facing us. The second threat, the conventional threat which keeps the IDF busy, has dulled somewhat due to peace agreements. The third threat, which worries my generation of commanders, is a subconventional threat - guerilla warfare. "The fourth threat is a cybersecurity threat, and it's a threat which in recent years has begun growing stronger in the State of Israel. There is no doubt that this is a significant threat which will occupy us more and more in the future. 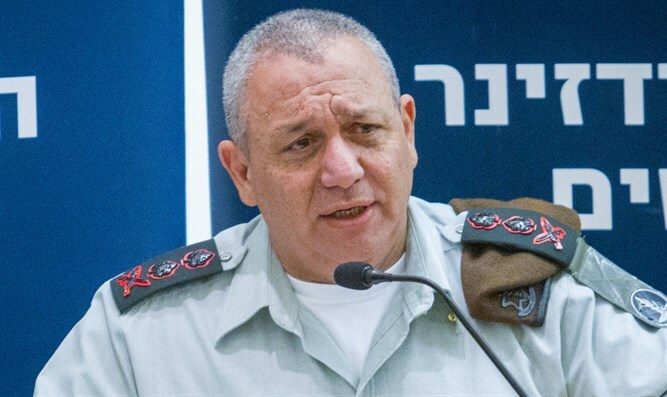 "The unwritten way we understand security and the IDF's strategy lay the foundation of ideas for how the IDF will allow Israel to continue to develop and flourish despite the changing security threats. It's the understanding that there are psychological and other aspects which help express Israel's superiority, as well as the secret efforts of secret organizations. "I see Israel's security challenges as a huge iceberg. The tip of the iceberg is are the challenges in Judea, Samaria, and Gaza - which every Israeli citizen sees. The hidden part is Iran's efforts to acquire nuclear weapons and attain regional hegemony, their advanced military infrastructure and their rocket abilities."